Dr. Gerzenshtein is highly regarded as one of the most experienced Tampa, FL rhinoplasty specialists. He performs this procedure for patients who desire to enhance the appearance and/or function of the nose. Because the nose is the central feature of the face, even subtle changes to its shape can significantly enhance the aesthetic balance of the whole face. This is why Dr. Gerzenshtein performs thorough consultations with each one of his patients, during which time he explains the rhinoplasty procedure and the results it helps achieve. In addition, he takes the time to answer any questions his nose surgery Tampa patients might have. This approach greatly reduces patients’ anxiety and allows them to make educated, confident decision regarding their treatment. In order to help patients considering rhinoplasty in Tampa learn more about his procedure, Dr. Gerzenshtein has created the following list of frequently asked questions. 1.) Will I be awake during nose reshaping? If your rhinoplasty surgery is performed under general anesthesia, then the answer is a definitive yes. Most people who receive local (and/or regional block) and intravenous sedation will also be asleep, though breathing on their own. 2.) What can be done about the crooked nose? More often than not, the septum, or the partition between the two chambers of the nasal cavity is the cause of the problem. To address the problem, the septum must be straightened. In other cases displaced nasal bones may give the appearance of deviation, in which case they must be reset. 3.) How and what can you use to augment missing or misshapen parts of the nose? There are many options. Patient’s own tissue is a good option, though use of bone and some types of cartilage can result in warping and asymmetry in the years after surgery. More recently, alloderm, a natural product has been used successfully, without the need for harvesting tissue from the patient, and subjecting another area to surgery. 4.) May I eat the morning of rhinoplasty surgery? Generally speaking, the answer is no. Most surgeons prefer to do rhinoplasty under general anesthesia. If anesthesia is given to a patient with even a partially full stomach, regurgitation of stomach contents into the lungs may occur, and this is very serious. In some cases, limited nasal work may be done without general anesthesia. Even in cases such as this, it is preferable not to eat since there is always a chance for general anesthesia if the case becomes more complicated during surgery or if there is persistent bleeding, or other unforeseen complication. 5.) What is endonasal rhinoplasty? Endonasal Rhinoplasty is just a fancy term for nose surgery done through an internal incision. It may sound better, and more technologically advanced, but in the end it is just a simple closed rhinoplasty. 6.) What is a functional or reconstructive rhinoplasty? Many people mistakenly believe that nose reshaping is done for cosmetic reasons only. In fact, many people who would benefit from a functional rhinoplasty would also get the side effect of a more balanced nose. This is because the septum, which lies at the root of many upper airway breathing difficulties also happens to form a very important structural component of the nose that impacts enormously on the external appearance of the nose. Deviation of the septum can cause significant breathing difficulties – a problem of much more import than the external appearance of the nose. Addressing this lopsided culprit, which by the way is often covered by most insurance carriers, will greatly aid nasal airflow, and fortunately, also improve nasal shape. In addition, in some cases of trauma, where the nasal bones have been misplaced, nasal airflow is also significantly compromised. Resetting the displaced bones will usually take care of the problem, and again, improve nasal shape. How is this done? Depending on the complexity of the problem, and the surgeon’s preference, the surgery may be performed through an open or closed approach. From a simplified perspective the only thing that separates the two approaches with respect to the final appearance is the presence of a small, usually imperceptible (except to the dog or the lover of the patient) scar at the top of cupid’s bow. From the surgeon’s standpoint, however, the addition of that small opening can greatly facilitate exposure, and help precise matching of one side to the other in the more involved case. To conclude, form is function and function is also form when it comes to nose surgery, fix your breathing, fix your nose. 7.) What is minimally invasive rhinoplasty? Minimally invasive rhinoplasty is another fancy name for nose surgery done through an internal incision. As is the case with endonasal rhinoplasty, it may sound better, and more technologically advanced, but in the end, it too is just a simple closed rhinoplasty. 8.) Is it possible for the nose to grow after rhinoplasty surgery? If the rhinoplasty is performed before growth is complete it is quite possible for the nose to continue to grow. This is the reason that rhinoplasty at an early age should be reserved for patients with significant defects. 9.) How is nose reshaping (or rhinoplasty) done? The sequence of operative maneuvers in rhinoplasty may change from surgeon to surgeon. As a general rule, once adequate anesthesia is established, either open or close incisions are made, the desired parts of bone and/or cartilage are appropriately reshaped. Once nasal sculpting is complete, the skin is redraped, and the incisions closed. 10.) What is revision rhinoplasty? Revision rhinoplasty is a procedure for correcting a previous nose reshaping procedure. It is also known as a secondary rhinoplasty. Because of previous dissection and alterations, the procedure is a bit more complicated and is generally longer. 11.) What if I’m not happy with the results of my procedure? To begin with, adequate time should be given for healing and resolution of swelling. Typically you will have a good idea of what your nose will ultimately look like after three months. If your nasal skin is excessively thick this may be closer to one year. If the perceived abnormality is still present after one year, additional surgery may be unavoidable to correct the problem. 12.) What is the difference between open and closed rhinoplasty? To the layperson the only discernible difference between open and closed rhinoplasty is a very well concealed ¼ inch scar at the base of the front underside part of the nose, between the nostrils. Surgeons joke that the scar may be noted only by a patient’s dog, or lover. The remainder of the incision is made inside the nose in both cases. Some surgeons perform one type of rhinoplasty exclusively. The more versatile surgeon can utilize both techniques with the following logic. The closed technique works well in less complicated cases, typically in removing a hump. The open technique is performed when correcting significant asymmetry, deviation, or when needing to do fine tip work. Open rhinoplasty and closed rhinoplasty are the two types of rhinoplasty procedures available. Open rhinoplasty is used to achieve great symmetry when doing tip work, while closed rhinoplasty is generally done for hump reduction. 13.) Some people say that it takes a year to see the results of nose reshaping or rhinoplasty surgery, is this true? This is only partially true. Results are seen within one month, but there is still substantial swelling present. Even with this factor in play, patients notice a significant improvement in the shape of their nose. At six months, the appearance of the nose is remarkably close to what it would be after one year. At this point, only close comparison of photos would show the difference between six months, and one year. By one year, most of this swelling is gone, so that the final result is stable at one year. 14.) May I drive myself home after my nose-reshaping surgery? No. Regardless of the type of anesthesia you’ve had, it is not safe to drive yourself home. For many reasons, this would be hazardous not only to your own well being, but also to other motorists. This is because the effects of even sedative anesthesia can last for several days. 15.) How soon can a rigorous exercise program be restarted? The standard answer for many surgical procedures, nasal or otherwise, is six weeks. Contact sports should be avoided at least that long. 16.) Can glasses be worn after nasal reshaping (rhinoplasty) surgery? If bone repositioning was not done, glasses may be worn as usual. For all other rhinoplasty cases, glasses my rest on top of the external nasal splint while it is in place. After the splint is removed, glasses should not be allowed to rest directly on the nose for one month, or a total of six weeks from the time of rhinoplasty. 17.) Is rhinoplasty ever covered by insurance? 18.) What is nasal packing? Nasal packing is typically comprised of Vaseline gauze, or cotton. It is used in some, but not all rhinoplasty cases to control bleeding or to hold the partition between the two chambers of the nose in a stable position. It stays in for up to two days. 19.) When do splints come out after rhinoplasty surgery? That depends on the type of nasal splint in question. External splints are used almost always, because some type of nasal bone reshaping is done as part of the rhinoplasty more often than not. When only nasal tip work is done, they may not be employed. When used they routinely stay on for two weeks. Internal splints are not used routinely. Typically, they are used in cases of the deviated nose or septum, where the partition of the two sides of the nose was reset. When used they are removed between postoperative day five and seven. 20.) What type of anesthesia is used in rhinoplasty? Most rhinoplasty cases are done under general anesthesia. Less complicated nose reshaping surgery cases limited to a given nasal region may be done with a regional nerve block, and sedation. 21.) Is there a minimum or maximum age for performing nose reshaping? If the procedure is performed for a severe deficit, the psychological benefits would far outweigh any potential problems, so that in such cases there is no minimum age. For a more cosmetic rhinoplasty, it is best for hormonal changes and growth to be in its final stages, typically very little growth takes place after the age of 18. Older individuals may have rhinoplasty at any age, medical condition permitting. 22.) Will I have scars after rhinoplasty surgery? Every operation leaves scars. The better question would be “Does rhinoplasty leave visible scars?” The answer depends on whether or not an open rhinoplasty was performed. A small 1/8 inch scar will be present at the base of the nose, between the nostrils. This is highly camouflaged owing to two factors. The first is a natural shadow line that separates the nose from the upper lip. The second is the fact that the area can only be visualized by looking from down up, the “lover’s, or pet dog’s position,” as it has been described. If the nose reshaping can be carried out through a closed rhinoplasty, all scars will be inside the nostrils, and invisible. 23.) Does everyone bruise around the eyes after surgery? Some patients may get heavy bruising post-rhinoplasty, while others hardly any at all. In patients who do bruise, this may last up to one month at its worst. Though most physicians advise their patients to stop any blood thinning medications like aspirin for two weeks prior to rhinoplasty, some patients take supplemental vitamins, others herbal medicines. Some of such preparations may thin the blood. 24.) After rhinoplasty, does someone need to help me get around, and keep me company at home? The ability to function in the face of normal post-operative pain, and swelling depends on the individual patient undergoing rhinoplasty. As a rule, however, a friend or family member should remain with the patient for at least the duration of the first post-operative night. 25.) What can I expect during a rhinoplasty consultation? Each physician you see will have their own style of communication. I prefer to identify what particular features of the nose bother my patient most. Since everyone’s idea of the perfect nose varies widely, I like to hear what my patient would change about their nose. This gives me an idea as whether their expectation is realistic, and what features I would need to address. Most alterations are possible, but a patient’s nose must fit their face. If I believe a patient’s desires may leave them with a nose that does not fit their face I will explain this to the patient, and emphasize what I think would be an appropriate course of action. The patient is then evaluated for airflow problems, general medical problems, and undergoes a physical examination of the nose and associated structures. I explain the rhinoplasty surgery plan, all of the possible risks and complications, and also talk about what I think the outcome would be. If there are adjunctive procedures that would improve the patient’s appearance I discuss such measures. 26.) How does someone get a deviated or crooked nose? There are several causes of the deviated nose. Most commonly, it is the result of trauma, motor vehicle accidents with facial trauma, altercations, falls, etc. Some people are born with a naturally divergent nose. In some cases, technical misadventures, or more commonly scarring after a rhinoplasty may cause this problem. Many times it is just a cosmetic nuisance, but it may also be significant enough to cause upper airway compromise, or breathing difficulties. 27.) How much time will I need to take off from work? From a purely functional standpoint, unless your profession requires exertion and/or contact, normal activity may be resumed within seven to ten days after nose reshaping surgery. If it is important for you to maintain your privacy with respect to your surgery, post-rhinoplasty swelling will prevent your return for two to three weeks. In women, bruising may be camouflaged with makeup. 28.) How long does nose reshaping surgery last? The uncomplicated primary (first time) rhinoplasty takes between 1 and ½ hours and 3 hours. The more complicated, and secondary nose surgery can take up to 6 hours. 29.) Is financing available for rhinoplasty? It is possible to get financing for any surgical procedure, cosmetic or reconstructive. The details depend on your surgeon. 30.) Who is a good candidate for rhinoplasty? Anyone with real concerns about the function or appearance of their nose makes a good candidate. Unrealistic expectations, deficits that only the patient can see, psycho-emotional instability, the belief that one’s entire life rests on undergoing the procedure are all red flags. 31.) Where is the rhinoplasty incision placed? In closed rhinoplasty the incisions go inside the nose, and are completely undetectable. In open rhinoplasty, the same incisions are used. In addition, the open rhinoplasty requires an incision under the column of the nose between the two nostrils. Generally, the incision heals so as to imperceptible within six months to one year. 32.) Is rhinoplasty very painful? Congestion, inability to breathe through swollen air passages, the taste of blood are all problems that most rhinoplasty patients are bothered by more than pain. Pain is normal with any surgery, and is no worse with rhinoplasty. 33.) How often do I need to see my rhinoplasty surgeon after nose reshaping surgery? My patients are typically seen twenty four to forty eight hours after rhinoplasty. Packing is removed at this visit. Weekly visits follow for the next two weeks. The patient is then seen at three, six, and 12 months after surgery. This regimen varies from surgeon to surgeon. 34.) What specifically can be achieved with rhinoplasty? As long as goals are realistic and expectations appropriate, rhinoplasty can achieve dramatic results. The nasal bridge may be shaped in a number of desireable ways. The nose may be narrowed, widened, shortened, or lenghtened, dropped, or raised. The nasal tip may be reshaped to a more aesthetically pleasing form. The dynamic function of the nose may also be improved through alteration of the external or internal valves. In summary, the nose may be improved in many ways, but clear pre-operative objectives must be set to achieve the most personal result, as beauty is very much a reflection of a patient’s perception, likes and dislikes. 35.) When can I eat after my nose reshaping surgery? Some patients may feel nauseous, and as a result not very hungry after the procedure. There are no restrictions on food consumption post-operatively, though it is wise to start with light liquids and proceed as tolerated. 36.) How long is the recovery period after a rhinoplasty (nose job)? Though all rhinoplasty patients recover at their own pace after nose reshaping, there are some general trends. The initial pain subsides over the course of two to three day. Swelling and discoloration may worsen after a rhinoplasty over the course of the same several days. It is a good idea to have someone at home to assist the patient in the immediate postoperative period. Strong pain medication will be needed in the first two weeks after rhinoplasty. Thereafter, normal, non-strenuous activities and work or school may be resumed. Swelling and bruising may persist for up to two months after nose reshaping surgery. Heavy exertion, and any activity, or contact sport that may result in injury should be avoided for first two post-operative months, as should sun exposure. 37.) What are the risks or complications involved in rhinoplasty (nose reshaping)? Any surgical procedure carries with it three types of problems. The first is related to anesthesia; general, and less commonly local. The second category is common to all surgical procedures. This is the risk of bleeding, infection, loss of soft tissue, loss of skin, numbness, etc. The third is specific to the particular surgery being performed. In the case of rhinoplasty, this would be asymmetry, changes in appearance over time, etc. 38.) Is the nose runnier after rhinoplasty? A minority of patients experience more discharge. This typically persists for half or a year, but may last longer. 39.) When are stitches removed after rhinoplasty surgery? Internal stitches are used in both open and closed rhinoplasty, are absorbable, and do not need removal. External sutures are used only in cases of open rhinoplasty. They are removed between day five and seven. 40.) Do you NEED a surgeon board certified by the ABFPRS, or the ABCS, or the XYZS? The American Board of Plastic Surgery (ABPS) IS THE ONLY BOARD specialty recognized by the American Accreditation Council for Graduate Medical Education (ACGME). This is the regulatory body overseeing resident education in ALL medical specialties including internal medicine, general surgery, etc. Any board which is not recognized by this entity is not subjected to its rules and regulations. The ACGME therefore does not recognize anyone trained in any program recognized by such an ARBITRARILY defined board. The truth of the matter is that if anyone wanted to set up the American Board of Facial Upper Outer Eyelid Lash Surgeons, they could do so without any problems, without even so much as a medical degree. To the general public it would seem as though anyone trained in a “program” recognized by such a “board” has special training in the upper out part of the eyelid, and the upper outer eyelid surgeon would bask and revel in the fruits of this flagrant lie. The truth is that ACGME plastic surgery training takes from 6 to 8 years and encompasses all of plastic surgery, in its every detail. Surgeons not trained in such a manner typically have one year of so called “plastic” surgery and think themselves expert. Because they claim to be specialists in a particular area, an implication is made that they underwent plastic surgery training followed by specialty training. This is another blatant lie. Of course the public is unaware of any of this because the industry is only regulated on the postoperative lawsuit end. Don’t get me wrong, there are a few cosmetic surgeons, who are not plastic surgeons, who are quite good; there are exceptions to every rule. There is also a fair amount of ASPS surgeons who are quite bad, again not the rule. But to say that one NEEDS a surgeon who has this board certification not recognized by the ACGME is a preposterous flagrant lie. Another important consideration that is often ignored is the ethical character of the “surgeon.” Let’s suppose someone is not certified by the American Board of Plastic Surgery, let’s also suppose that they are really good with their hands, and have done many, many aesthetic procedures. How many people would have had to be their “first,” in any given procedure before they accumulated enough experience to obtain good, reproducible results. Would you really want a “physician” of such limited moral fiber to do your surgery? The bottom line is this; what you need is an honest physician, who is safe, gets good results, and is strongly endorsed by his or her patients, not the founder of the American Board of the Middle Upper Lip Cosmetico – Aesthetic Surgery. 41.) Where is rhinoplasty surgery performed? A surgical facility, a hospital, or in some cases a physician’s office may serve as the stage from rhinoplasty. The American Society of Plastic Surgeons (ASPS) 2004 data on cosmetic surgery procedures performed by members shows the following distribution: 62% – office, 21% – hospital, and 17% – ambulatory surgical facility. 42.) Do I need a CAT scan or an X-ray before undergoing rhinoplasty? Though some surgeons will only get an imaging study when there is a breathing problem, most complicated, and secondary revisional rhinoplasty patients will need the so called CAT scan. In short the answer depends on the patient. Septoplasty is the technical term for reshaping the partition between the two chambers of the nose. It is done for two main reasons – to straighten the crooked nose, or to relieve breathing difficulties. This is the technical term for combining the straightening of the partition between the two nasal cavities with nose reshaping. It is usually, but not always, done through an open rhinoplasty approach. This is the technical term for what is otherwise known as a "nosejob." Rhinoplasty may be performed for cosmetic or aesthetic, reconstructive, or functional reasons. When done for functional reasons, the so called nose job may improve airflow. After trauma, the rhinoplasty surgeon may reposition displaced bones to improve airflow, and shape. When performed for cosmetic reasons, nose reshaping or re-contouring is used to change the appearance of the nose. This may be a subtle refinement, or a dramatic improvement. Any or all of the areas of the nose may be addressed, including the top (radix or root), the upper bony part (nasal bones), the softer middle (vault), and the tip. Even the nostrils may be reshaped. Parts of the nose may be augmented, reduced, or reshaped, asymmetry may be corrected. In addition to helping rhinoplasty Tampa, FL patients realize their dreams of a beautiful nose, Dr. Gerzenshtein offers a variety of other facial beautification procedures. 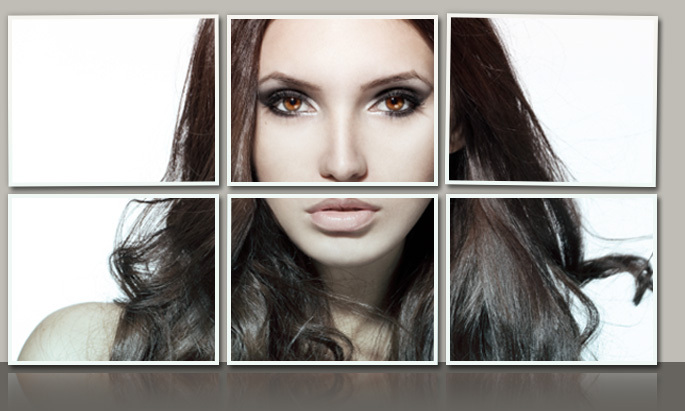 At his state-of-the-art plastic surgery Tampa offices, patients can undergo blepharoplasty, brow lift and otoplasty. Dr. Gerzenshtein also specializes in face lift surgery and is regarded as one of the most highly talented Tampa facelift surgeons.